Shooting a first person 360 video can be tricky. Videographers have used different approaches, such as placing a 360 camera rig around the actor’s head. Svend Even Haerra, who directed a 360 video of a ski jump, used a simpler approach with a GoPro Fusion. Here is the video and how he set it up. First, here is the 360 video, with 360 audio. The video was designed for viewing on a VR headset. 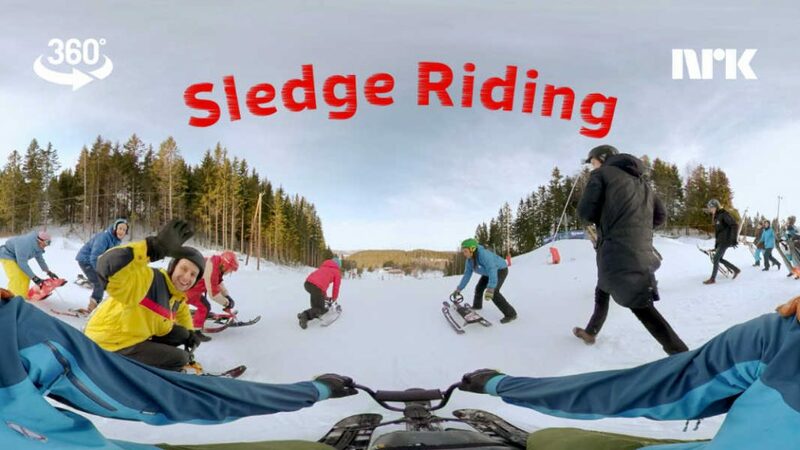 When the video was presented at a sports event, Svend and his crew brought sleds for viewers to ride on while they watched the video with a VR headset. For this video, Svend originally tried attaching a GoPro Fusion using a GoPro headstrap, but it was too loose and shaky. He then tried attaching the camera on top of the helmet, but he wasn’t satisfied that it captured the feeling of being on the sled as he envisioned. 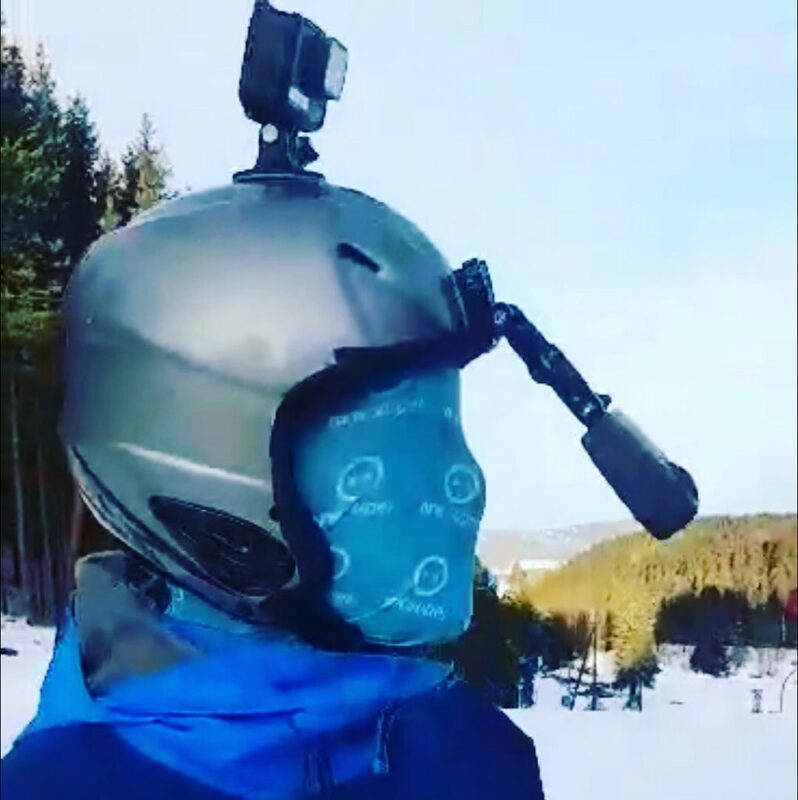 Finally, he attached a GoPro Fusion to a helmet using a short extension arm. Svend covered the face to avoid distracting the viewer and to provide a logo for the client. He also placed a GoPro Hero on top of the helmet to collect speed and other data to provide the overlay for the video. To convey the sense of speed, Svend added a lot of objects in the snow so that the viewer could see the sled whiz by the objects. One thing to note is that this approach would have been much harder as recently as a year ago. At this time last year, there were no 360 cameras yet that had built-in image stabilization. Today, the Fusion is one of several 360 cameras with stabilization, and thanks to the Fusion’s excellent image stabilization, the video looks stable. You can check out my Fusion review here. And if you’d like to see more of Svend’s work, check out his Instagram.